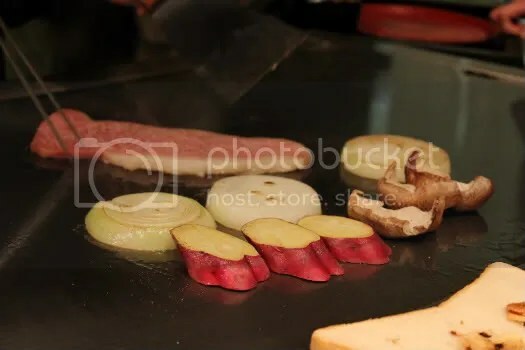 I usually associate Teppanyaki with lots of engaging tricks and oily food that only taste half as good as they look but Kikuya really changed my opinion on this. Highly recommended by Dad’s collegue currently working in Fukuoka, we knew we had to try what was deemed the ‘local favourite’. If you want an individual room to yourself, you need to call and make reservations. Otherwise, you will be seated outside like us which is not too bad either when there isn’t a crowd. 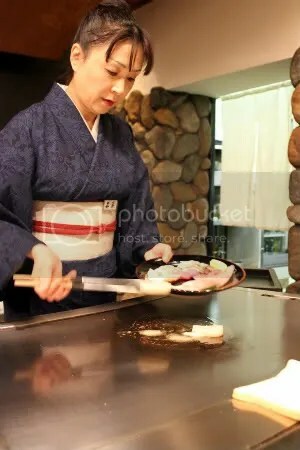 You don’t get greasy teppanyaki counters here. 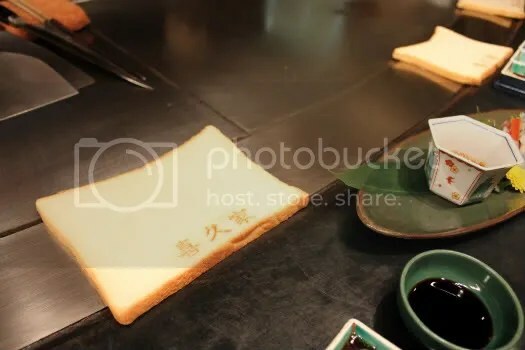 The metal is polished and wiped continuously throughout the entire cooking process; Charred bits are instantly swept to the side connected to a little bin beyond our vision- talk about cleanliness! 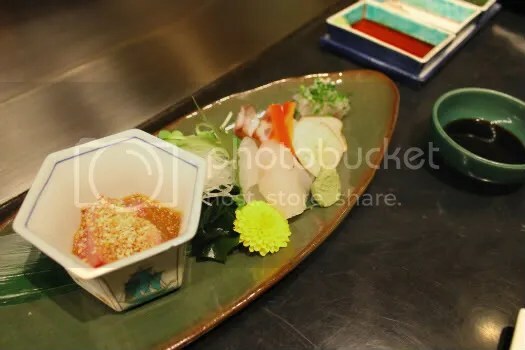 In anticipation of a huge meal ahead with tummies that were partially filled up by our tea-time snack in the hotel club lounge, we decided to just go for two courses between the three of us. The Beef and Seafood Course both set us back by 8000 yen each. 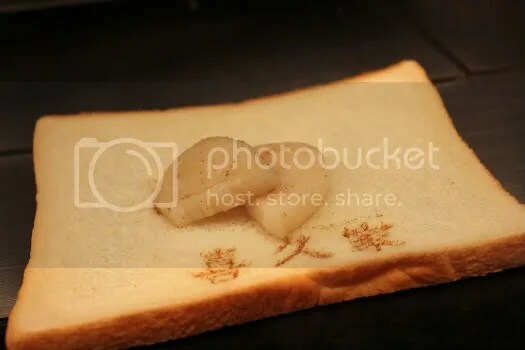 A huge slice of pillowy Japanese white bread with the restaurant’s name proudly emblazoned on it. Guess what it is for? Knob of butter, salt and a liberal hand with the pepper. 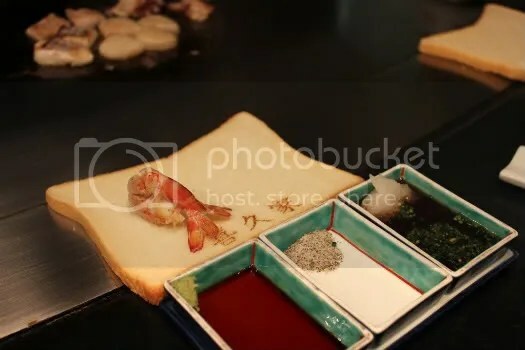 That’s all that went into the neatly sliced pieces of seafood that sizzled away on the metal teppanyaki counter. 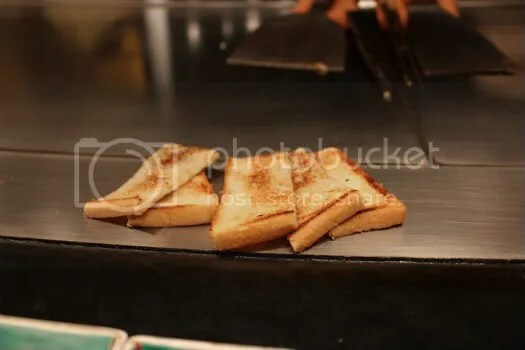 If you haven’t yet guessed, the slices of bread were used as ‘serving plates’. 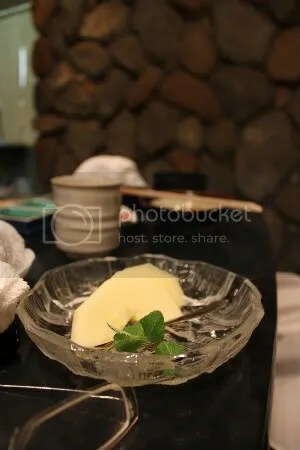 Any remaining butter/ juices from the food is absorbed into the thick slice of bread. 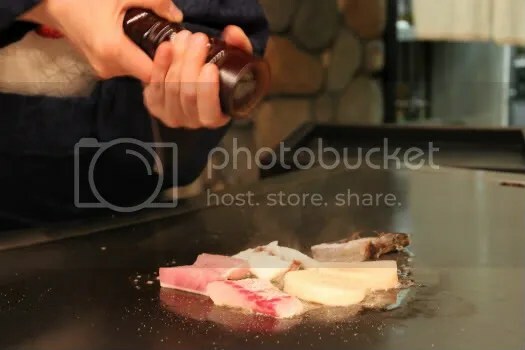 Perfectly teppanyaki-ed rings of squid. 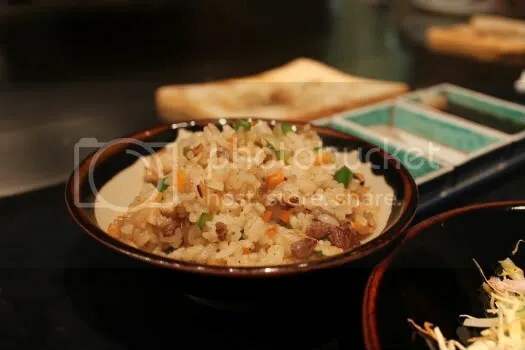 Tender with the perfect touch of seasoning to accentuate its natural flavours. 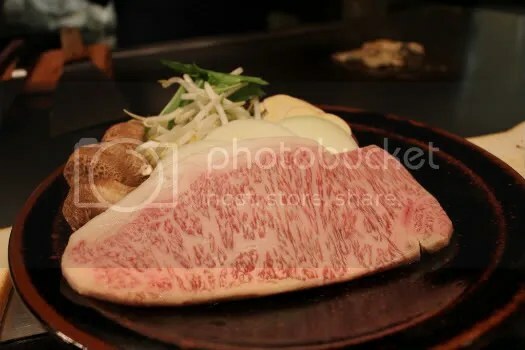 I’m not the type that goes crazy over beef, but I got really excited after seeing that huge sirloin of iki beef presented. 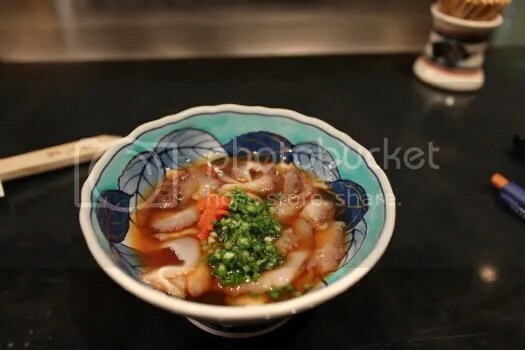 Iki Beef is from a small island (called iki) 80km from Fukuoka. 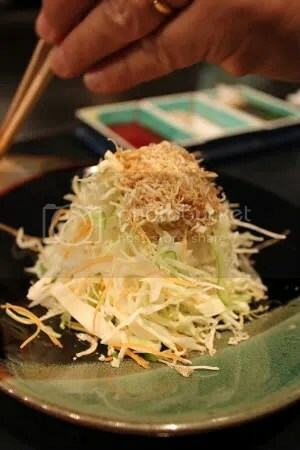 It’s a specialty in Fukuoka according to our bubbly waitress, a must-try in other words. The cows are supposedly fed with locally produced rice straws and are treated extremely well to let them grow up stress-free. The stress-free surroundings must have had a pronounced effect on the cow because the sirloin looked so well marbled! 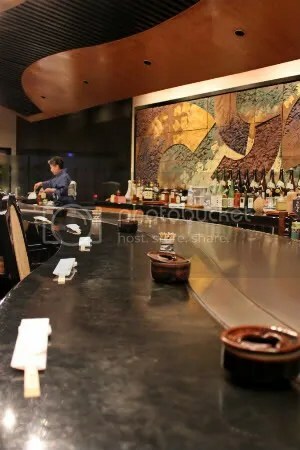 One look and I knew I was going to enjoy a melt-in-the-mouth umami experience very soon. Small pieces of beef that really melted in the mouth. 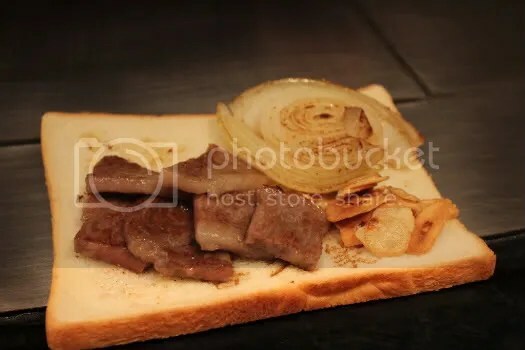 It did not taste tenderized one bit and the beefy juices sent us to seventh heaven. This only happens to me with sugar so that says a lot! 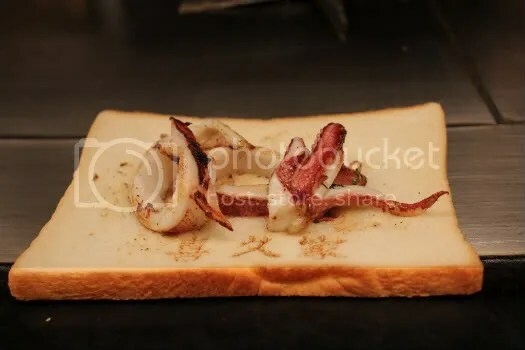 Eating it with some juicy rings of onion or crunchy silvers of garlic sealed the deal. The busy ladies serving us and another couple. Kudos to the efforts in communicating with us despite our language barrier! 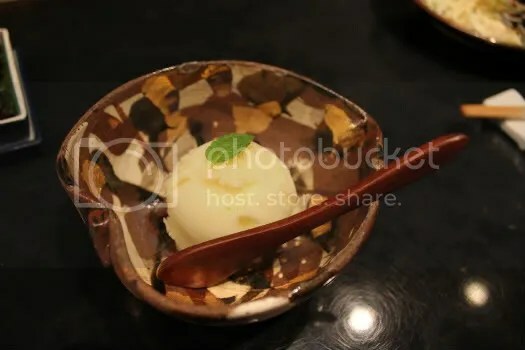 Yuzu sorbet to clear all that grease from the palate. Love the acidity of the Yuzu which is more nuanced than lemons but stronger than oranges. A frozen delight that I won’t mind seconds of! 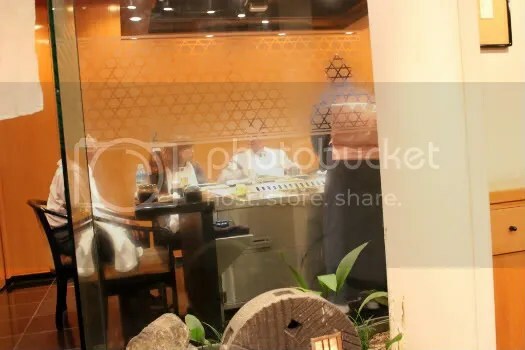 Posh teppanyaki with homey service to boot, Kikuya is best described as one big family where everyone is passionate about food with unadulterated flavours. We had a great time chatting with the ladies about traveling in japan and above all, japanese food. 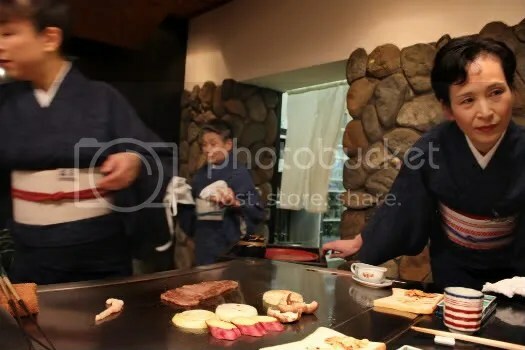 Definitely worth a special trip down, I promise you will be left utterly satisfied after spending your 8000 yen!